It’s been 32 years since National Lampoon’s Vacation movie hit the screens, but today we have some very exciting news. A New Vacation movie is in the works. 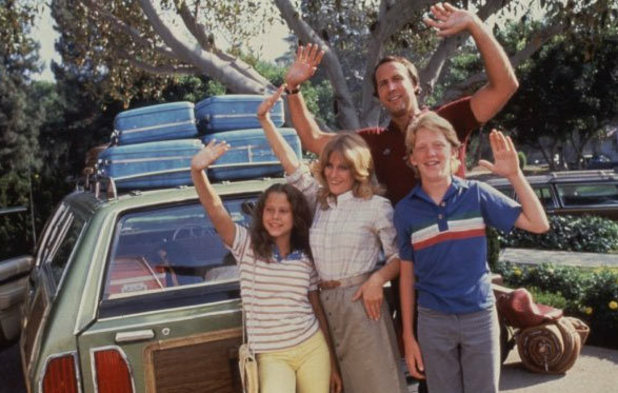 The Vacation Reboot takes place as Rusty Griswold, one of the kids in the original Vacation movie, now takes his family on a road trip to Walley World. We took our family on a 10 day road trip from Six Flags Over GA to Six Flags Magic Mountain in California (Walley World) in July. So we know all about this kind of family road trip. We stopped at all the same spots from the original Vacation movie with Chevy Chase and also rode colossus, the wooden Roller Coaster at Walley World (Six Flags Magic Mtn, CA) just days before it closed for good. So we are so excited to see a new family of Griswold’s take this historic journey for a whole new generation of Vacation movie fans. Who are the Griswolds in the new vacation movie? Ed Helms and Christina Applegate! Pretty cool! And the vacation film is filled with a star studded cast. There is even rumors on the internet that Chevy Chase and Beverly D’Angelo will make a cameo appearance.